Debbie Brand Rejoins WWO as Country Affiliate Sales Mgr. 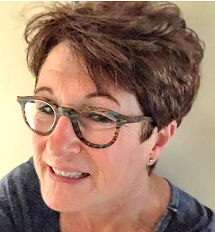 Westwood One hires 25-year affiliate sales vet Debbie Brand as Manager of Affiliate Sales, Country. The move returns Brand to Westwood One, as she previously worked for WWO as an Affiliate Relations Manager back in the mid-1990's. She replaces Tim Closson. Brand most recently served as Regional Director of Affiliate Relations for United Stations for many years. In addition, she's also worked at Unistar Radio Networks, as well as WMZQ and WMOD in Washington, DC. "After 20 plus years of honing my craft in Affiliate Relations, it is an absolute honor to be asked to return to Westwood One as a member of the Affiliate Sales Team," said Brand. "The Westwood One team is loaded with some of the best and most talented people in the business." VP/GM of Music & Entertainment/Country Bryan Switzer added, "We're extremely fortunate to have someone with Debbie's resume joining the Westwood Affiliate sales team. Her experience is a tremendous asset to making sure radio stations all over the country know about our star-studded roster of Country shows and specials."